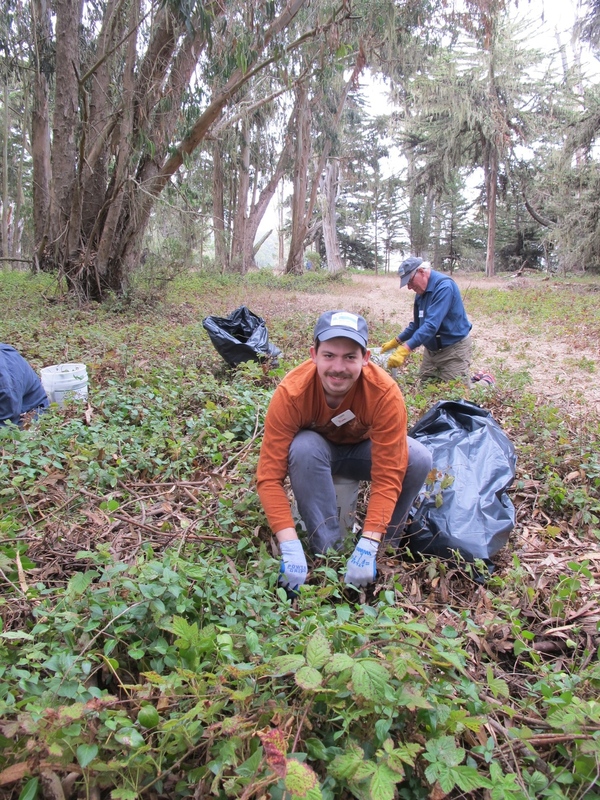 Coastside Land Trust relies on volunteers to help with local habitat restoration, cleanup and important tasks in our Half Moon Bay office. Office angel: help prepare mailings, file and organize, etc. In downtown Half Moon Bay office; flexible schedule. Fundraiser: help with grant writing, fundraising events, and other projects. Much of this work could be done in your home. 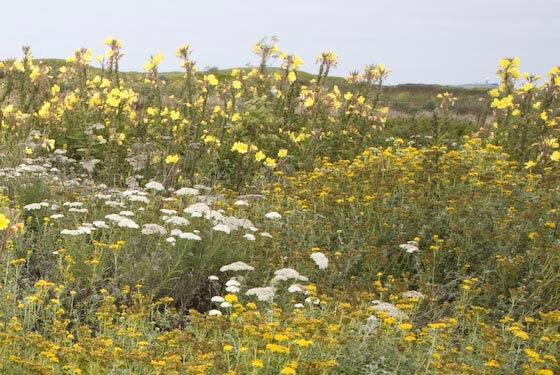 Stewardship: share your expertise in habitat restoration and native plants to help restore our coast. If you’re interested in helping out in any of these roles, please contact Jo Chamberlain, CLT Executive Director, by email or fill out the form at the bottom of this page. 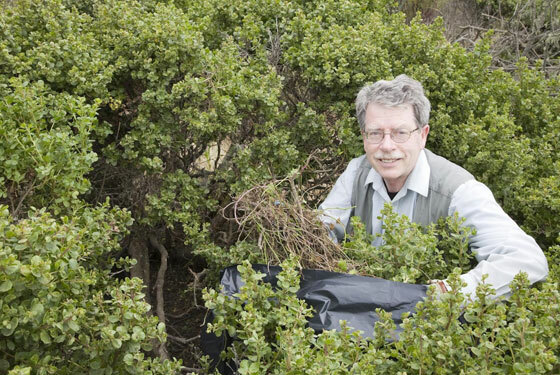 If you can't make a regular commitment, join our next volunteer day. 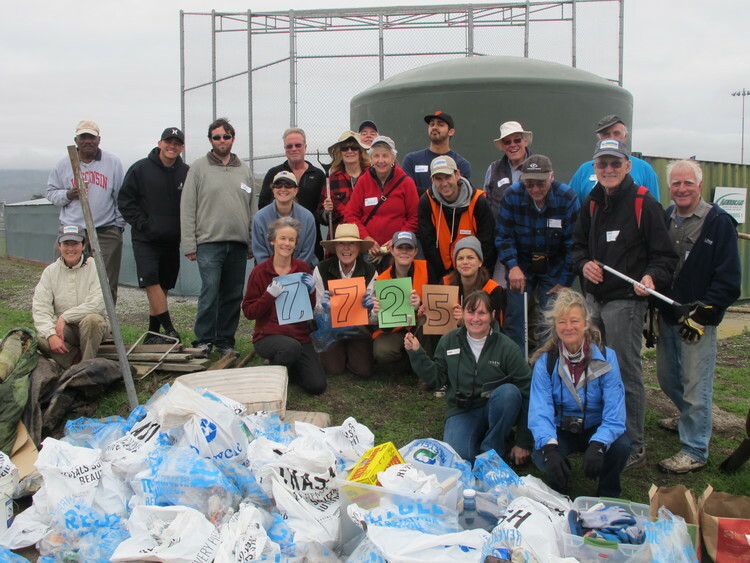 Coastside Land Trust volunteers removed 7,725 pounds of trash from the open space of the Coastside in 2013! That's 7,725 pounds of trash that is not going to find its way into our waterways and is off our bluff tops! 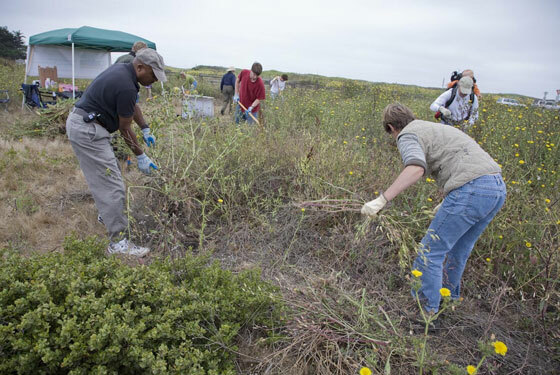 A huge thank you to our volunteers for working to keep the Coastside beautiful! Our volunteers after a workday with the total amount of trash we collected for 2013! 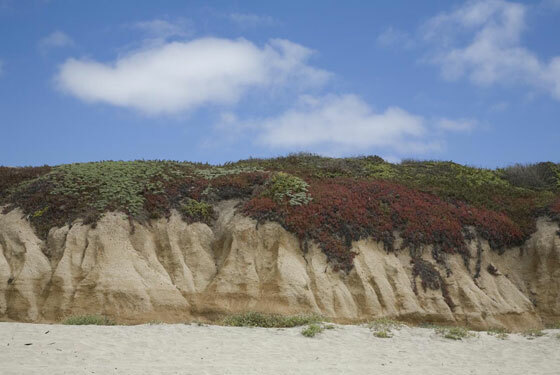 Show your support for Coastside Land Trust with a T-shirt, hat, or mug — visit our CafePress store today! Interested in volunteering? Fill out the form below or email info@coastsidelandtrust.org! Tell us a little about yourself and what volunteer opportunities you are interested in.